The Chobe National Park is the perfect place to get acquainted with Botswana. We recommend starting a safari here to gently ease you into the bush experience. It's a little busier than the rest of the country, but for game viewing it packs a punch. Chobe is all about the river, whether you're game driving along the edge of its floodplains or cruising down it by boat. For much of the year, the Chobe River bursts its banks, spilling into the surrounding floodplains and creating shallows where buffalos and hippos are found en masse. Chobe is infamous elephant territory and it's here that you'll find the largest population in Africa descending on the river in large herds. Watching these giants head-on from a boat as they play and socialise in the water is what completes any Chobe experience. Sunsets here stretch on forever, from the fish-eagle dotted trees on Botswana's banks across to the empty, open floodplains marking out Namibia over the water. Chobe is great not just for a first safari filled with big cat sightings and vast numbers of plains game, but also as a rewarding repeat visit for tracking down unusual antelopes - we like the sable and spotting endemic species like the puku and Chobe bushbuck. The Chobe National Park also includes the Savute Marsh almost 200 kms from the Chobe riverfront which is covered in detail under Savute, Linyanti & Selinda. Chat to us and we'll help you make sense of the different areas around the Chobe Riverfront and how your accommodation choice will affect your safari experience. Combine with: A visit to Victoria Falls just over the border, Savute for a completely different perspective of the same park or the Okavango Delta for a well-rounded safari. Chobe Elephant Camp is situated far from the busy Kasane area in an elevated bush setting looking out across the Chobe floodplains. With a reputation for quality guiding, this camp offers one of the most authentic experiences in Chobe for a really good price. 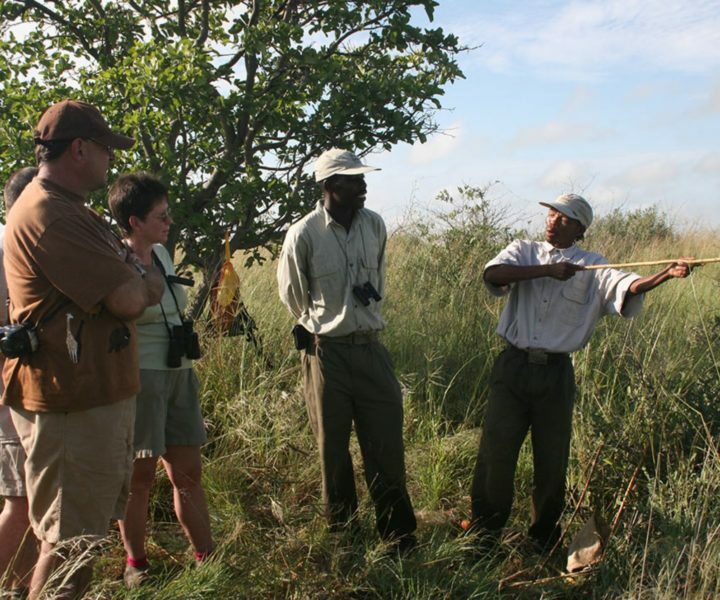 This is one of the few camps in Botswana offering a visit to a local school and village as part of your stay. Chobe Bakwena is an affordable yet stylish camp run by environmentally-aware, community-minded owners. The atmosphere is personal and everyone is welcome. The chalets feature colourful hints of traditional Africa and al fresco showers in your own private garden. We recommend booking private activities for families to allow you to go at your own pace. The only hotel inside Chobe National Park, Chobe Game Lodge has seen more than its fair share of famous faces - most notoriously hosting Elizabeth Taylor and Richard Burton for their second wedding. Go on safari without leaving the lodge - the elevated boardwalk overlooks buffalo and elephant-filled floodplains with hidden corners for lazy siestas or dinners by candlelight. Explore the park with the Chobe Angels, Botswana's only all-female guiding team. Experience Chobe from a different perspective onboard a houseboat. Let the Pride of the Zambezi take you away from the mayhem of the Chobe Riverfront near Kasane. Watch the wildlife along the water's edge, fish for your supper and fall asleep moored on secluded stretches of the Chobe River at night. Enter Ngoma and be met with impressive, nearly surreal views over the floodplains in this remote corner of Chobe. Prise yourself away from the wonderful food and service to explore the park by game drive or boat cruise. Retreat back to your luxurious chalet during siesta hours, complete with private plunge pool. Friendly and engaging guides enhance the experience at Chobe Chilwero, a small and intimate lodge on the Chobe River, just minutes away from the park entrance. 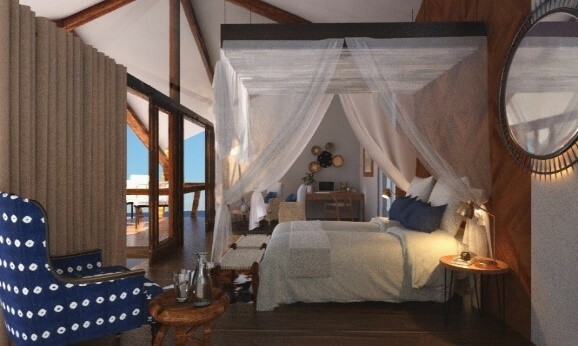 Spacious chalets offer luxury and a few extras perfect for those who like their safari with a few modern comforts like air-conditioning and wi-fi.